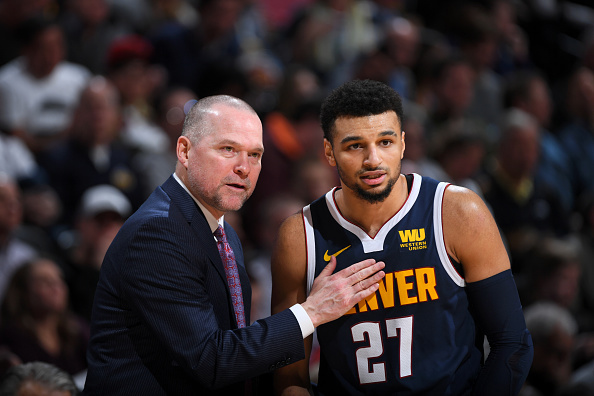 The charter landed at Denver International Airport late on Dec. 26, a few hours after the Denver Nuggets lost their second straight game. 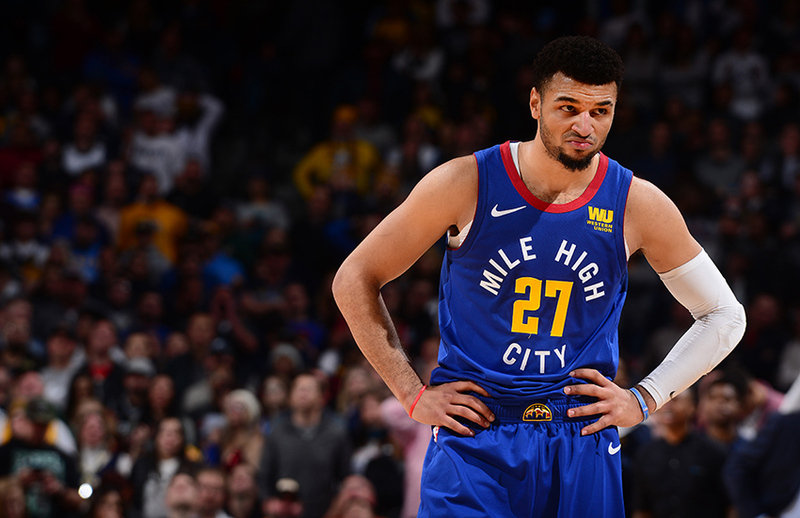 Jamal Murray scored nine points and missed 15 of 19 shots in the 111-103 loss at San Antonio, and he wasn’t going to bed with that feeling. So instead of heading home Murray went straight to Pepsi Center and up to the Nuggets practice court to shoot. Time of day and how long he stayed there were no concern. He was there until he shot the frustration out of him. It has never mattered. The only thing that has mattered to Murray, other than family, is playing basketball. He hates to sit—hates it with a passion—so he plays through fatigue, pain and even injuries until the Denver coaching staff says he can’t. “They have to hold me back,” he says. Murray’s love affair with basketball can be viewed as an obsession, but he doesn’t care what others think. Working at his craft is what he loves to do, and he loves to play it even more. It’s why he plays through pain and it’s what has made him one of the best young players on the most exciting NBA team not located in the Bay Area. Nikola Jokic may be the star of the team but Murray is the engine. Murray also plays with an edge that can anger opponents. 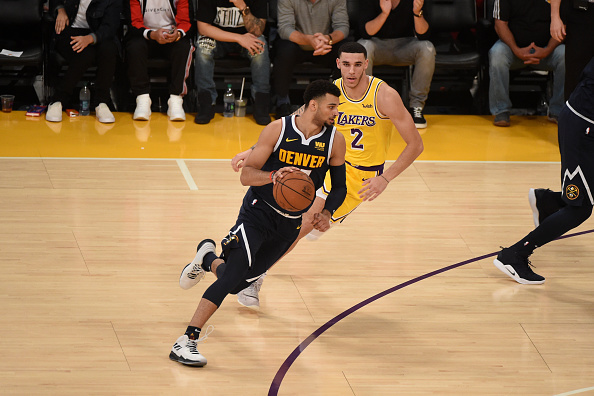 Early in the 2017-18 season, the Los Angeles Lakers were upset when Murray dribbled around Lonzo Ball in the waning moments of a comfortable Denver win. Murray acknowledged after the game he took things too far, but when the teams met three months later Murray hit two free throws to ice the game, turned and said something to Lakers’ bench, drawing coach Luke Walton’s ire. Walton said Murray was being disrespectful with his trash talking. Murray shrugged off the controversy. 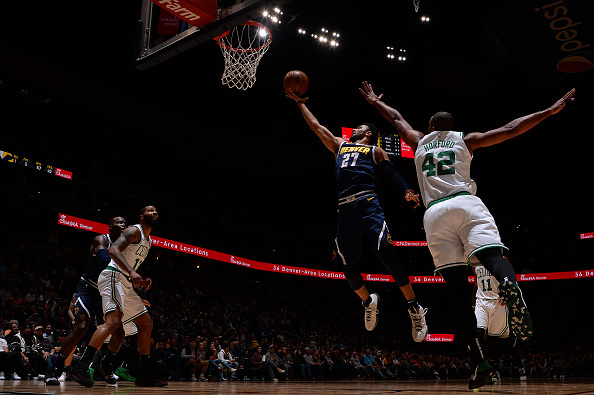 In November, Boston guard Kyrie Irving threw the ball in the Pepsi Center crowd after Murray launched a shot at the buzzer to try to reach 50 points in a win over the Celtics. These moments are a glimpse into Murray’s persona but they don’t define him. His competitiveness and quest for perfection are what drives him. It is why, 90 minutes after a practice ended in mid-January, he was still on the court, playing a three-way game of one-on-one with teammate Brandon Goodwin and player development coach Stephen Graham. It was a day after the Golden State Warriors beat the Nuggets by 31 on their homecourt, after Steph Curry went off and Murray had 21 points at halftime and none after intermission. Murray talks like a seasoned vet so it’s sometimes tough to remember that his 22nd birthday is Feb. 23. He doesn’t apologize for his drive nor does he force it on others. He works, and if someone wants to join him, all the better. To some the constant work might seem extreme. Not to Murray. He learned dedication and hard work from his father, Roger, a track and field athlete in his day. The younger Murray was an eager student growing up in Kitchener, Ontario. Roger took his son to the gym when he was a toddler and Murray would watch his dad run up and down the court and then emulate the action. “It was just me practicing on the sidelines, dribbling, watching him,” says Murray. Soon, he was working out with his dad. Even though he grew up in a hockey-crazed country, he never wanted to play that sport. He played floor hockey in school—“I was always the goalie,” he says—but skated on ice just once. Basketball was it. “Hockey and soccer weren’t my thing,” Murray says. He played football and ran track but those were only a path to improve his basketball skills. Track helped him with speed and playing quarterback in flag football sharpened his vision and improved his footwork. Every spare minute was taken up with basketball. Recess, school breaks, before and after school—he was either practicing with a team or by himself on a court. The discipline took him to the University of Kentucky for a season. Denver took him with the seventh overall pick in the 2016 NBA Draft and he started his career missing 17 shots. He did the only thing he knew to get out of the slump—he worked. Eventually the shots started to fall. By early in his second season he supplanted Emmanuel Mudiay as the point guard of the future. Murray’s resiliency isn’t surprising. His toughness has defined him since childhood. He played every game as a rookie despite having two sports hernias that required surgery after the season. Most players would sit. Murray isn’t most players. 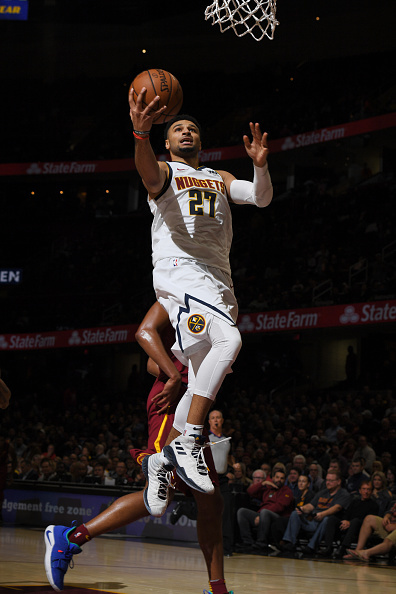 He missed one game last season and played in every game this season until he hurt his left ankle against Phoenix on Jan. 25 and ended up in a walking boot. It surprised some because he had played through ankle injuries before. In a rematch against San Antonio on Dec. 28 he rolled his right ankle so severely he could barely walk. He stayed in the game and the next night scored 46 points in Phoenix on a painful ankle. Pain is a mindset to him, and he wills his way through it. It’s a skill he learned from his father. 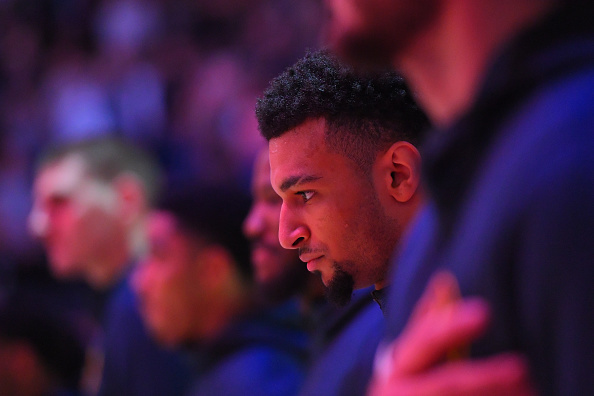 Murray also learned meditation from his father, a skill he uses before games. He also uses mediation techniques during the game. Meditation also helps with pain tolerance and gives him the ability to stay fresh during games. So long that when it comes time to unwind from a game or practice Murray does what he loves.